WestJet strike: What are your rights? A pilots strike is not an Act of God or a Force Majeure. Passengers whose flights are cancelled by WestJet due to a pilots strike are owed more than a mere refund of their airfares. The rights of affected passengers depend on the itinerary on which they are booked. We urge passengers to be ready to assert their rights and take WestJet to court if necessary. We strongly recommend that passengers record their interactions with WestJet. Evidence of WestJet’s actions and omissions, including refusal to offer compensation or rebooking, may turn out to be crucial evidence to enforce one’s rights to compensation. provide you with care (meals, accommodation, ground transportation, and 2 free phone calls or emails). any other loss you may have incurred as a result of the delay. The source of your rights is Schedule VI to the Canadian Carriage by Air Act, also known as the Montreal Convention, and more specifically its Article 19. It says that the airline can avoid liability for delay only if the airline proves that the airline, the airline’s agents, and the airline’s servants have taken all reasonable measures to prevent the delay or that there were no such measures available. In addition, under Article 26, the airline cannot exclude this liability using a creative contractual language. Nevertheless, WestJet may dig in its heels and refuse to pay unless and until passengers take them to court. a full refund of your airfare, in the original form of payment (not travel vouchers). The source of your rights is WestJet’s Domestic Tariff Rule 90(C)(3), which is legally binding on WestJet pursuant to s. 67 of the Canada Transportation Act. Unfortunately, WestJet’s Domestic Tariff defines “Force Majeure” so broadly that it includes strikes. So far, the reasonableness of that definition has not been challenged. 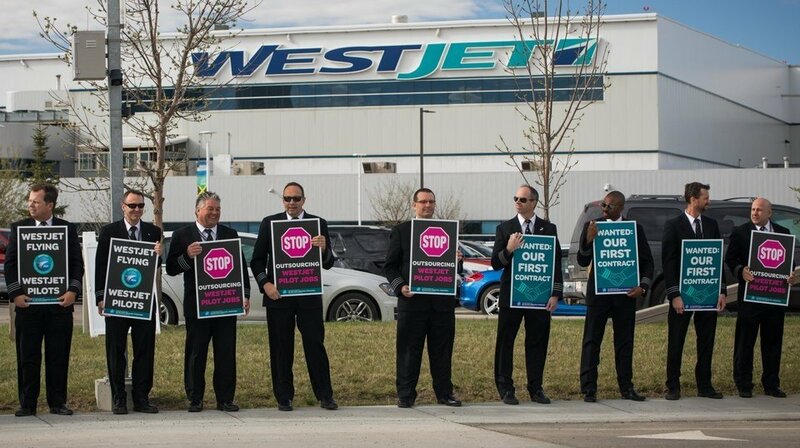 The looming WestJet strike underscores the significant shortcomings of the Liberal government’s Bill C-49 (Transportation Modernization Act), which is currently before the House of Commons, and will shortly be returned to the Senate for a third time. In sharp contrast, under the European Union’s Regulation (EC) No. 261/2004, airlines can avoid paying compensation only in the event of “extraordinary circumstances,” which are understood to mean events that are not inherent to the normal operation of airlines and are beyond the airline’s control. In Europe, airlines must compensate passengers for delays and cancellations caused by mechanical malfunctions and strikes.